No one ever said parenting was easy. But parenting a teen can at times make you want to pull your hair out. Choosing expectations for your teen that are both challenging but not overbearing is like waking a tight rope. Here are a few suggestions to help ease the tension you feel. Don’t expect each of your teens to need the same boundaries to be set. Not every child is the same. You may have one teen that can handle the responsibility of having a Facebook account at the age of 13 while your next child could not handle that same privilege at 16. This can be frustrating for both older and younger siblings who question your “fairness” but it is important to treat each child as an individual reminding her that she has other areas in which she has shown great responsibility. With each birthday, give the child 1 new responsibility and 1 new reward. A great way to help set separate boundaries while still teaching responsibility is to use the child’s birthday. This habit can start early on. When you give your child a new responsibility at her birthday coupled with a reward it shows her that you recognize that she is maturing. Safe and respectable use of the reward can be tied to the new responsibility to some degree. If at age 13 your child is able to gain a Facebook page but she refuses to consistently mow the lawn like agreed to at her birthday, Facebook privileges can be suspended until the lawn is mowed. Your ultimate goal as a parent is to help your child develop independence. When discussing and selecting the expectations you have for your child, keep in mind that you want your child to learn what you teach for a lifetime. When she leaves your home, you want to know that you have instilled responsibility into her so that whatever school, job or career she chooses she will be well equipped. When setting expectations keep this ultimate desire for independence in mind. Expectations should start out small and grow. You cannot expect a child to wake up one day and suddenly be able to understand how to do her laundry from separating the colors to putting them away in her drawers. This habit needs to be taught slowly. The same is true for independence. You cannot expect your child to be able to always make the best choices when it comes to peers, school and even listening to you. She needs to start being given small independence. Expect mistakes but know her ability to make mature choices will grow. Put expectations and consequences in writing. Often times directives are mentioned to a teen in the car or while the parent and child are doing other things. 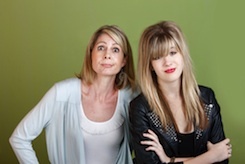 These directives may seem really clear to the parent but are often misunderstood by the teen. Sometimes teens may even use your business as an excuse to avoid doing what you asked because she thinks you will not remember it. This situation leads to anger, resentment and often times yelling. When you create an expectation, it is best to in some way get it in writing and have both you and your teen agree to it. That way if the instruction is ignored or forgotten, you are able to simply and calmly show the child where that you had indeed agreed to it. You can use new technologies to do this if the child has a smart phone or access to a computer. If you choose to put it on paper in the house make sure it is where all adults and the teen can see it but is not out in public where it might embarrass the child. Don’t expect too little. Parents can make this mistake for a few reasons. Perhaps they had an older child that wanted to break all the rules. Maybe they themselves had very troubled teen years. Whatever the case, lowering the expectations you have for your child can actually cause her to make bad choices. Instead build your child up, letting her know that you see the strength and determination in her to make healthy and mature choices but that you know how it can be difficult at times. Parenting a teen can be stressful but it is a high responsibility to raise the next generation. It takes patience, understanding and self-control to help a small child become an adult. As Mother’s Day approaches, you may find yourself in need of a sentimental poem or quote about Mom. From card-making to reciting a few favorite lines at Sunday brunch, these quotes can add just the right touch of sentiment to your mom’s day. Still looking for the perfect gift for mom? Print a favorite quote on linen paper and place it in a decorated frame, or stitch the quote onto a pillow for a fun keepsake. If you need a little help putting your affections for Mom into words, check out these 21 blogs. No one can deny that moms hold a special place in their children’s hearts, whether you talk to your mom every day or only manage to see her a few times a year. Mother’s Day is a day of celebration, allowing you to honor the women in your life who have fulfilled the role of mom, biological or otherwise. These seven blog articles contain poems that can be used to bring a tear to mom’s eye on Mother’s Day. Mother Poems This blog is filled with poems that are perfect for expressing your appreciation for Mom this Mother’s Day. Where Would We be Without Mother’s? This poem is faith-based and serious in tone. Mother’s Day Free Craft Ideas and Poems for K-1 This post contains a poem for mom and a craft for the kids to make. Mother’s Day Poems, Poems for a Mother, Poems on Mother These five poems would all be appropriate for Mother’s Day cards. Short Mother’s Day Poems SMS 2013 Various poems about mothers and their children are captured in this blog entry. Mother’s Day Unique Poem for Mother There’s a religious angle to this poem that documents the beauty of a mother. Maa! (Mother) Read this sweet poem from a child’s point of view as he remembers things that his mother did for him. What grandmother doesn’t cherish a handmade card from her grandchild? If you’re looking for a little poetic inspiration for your Mother’s Day gift for Gran, check out these seven blog posts. Mother’s Day Poems Wishes for Grandma 2013 This post is full of short, sentimental poems about Grandma for Mother’s Day. Mother’s Day Card Verses for Grandmother Check out these online cards that are complete with loving sentiments for Grandma. Grandma Poems: Beautiful and Sweet Too These rhyming poems are short enough to be in a card or on a picture. A Gift for a Grandmother This poem is written to a grandma and talks about all of the wonderful things she does. And Grandma’s Too… Short and sweet, this poem would be ideal for a young child to copy onto a drawing or card. My “Circle of Love” – Poem and Craft for Mother’s Day! An appropriate gift for a little one to make for Grandma on mother’s day. My Grandma Enjoy this sentimental poem written to a grandma who raised her grandchild as her own. Sometimes a quote is all that is needed to finish a project or a card in the perfect way. People love to receive poems and quotes that capture the moment perfectly. Since not everyone is a poet or a writer, these bloggers have compiled lists of famous and not-so-famous quotes and sayings about mothers for you to use. Check out these seven blog entries to find just the right quote. Mother’s Day Quotes, Rhymes & Cards There are plenty of modern, funny quotes on this post. Mother’s Day Quotes You’ll find the perfect quotes to embroider on pillows or wood burn into a plaque as a gift for mother’s day here. Inspirational Mother’s Day Quotes and Sayings This post is made up of quotes from famous people about mothers. Humorous Mother’s Day Quotes According to this blogger, these quotes would be perfect to use as a toast to your mother on Mother’s Day. Mother’s Day Quotes Check out this eclectic mix of quotes and sayings about mothers. Favorite Quotes About Mothers One liners about mothers from famous people like Abe Lincoln can be found on this post. Mother’s Day Quotes This post is full of short sayings about mothers. “It’s just a little white lie.” Many parents say or think this all of the time. Usually these white lies come in the form of stories that are told to protect their child in some way from a painful truth they might have difficultly fully comprehending. But is it really “just” a little white lie? Children have an uncanny ability to see though and understand more in this life than parents usually realize. With every small falsehood there can be a very harmful down side. It will cause the parent to tell more lies to keep the story going. The saying goes, “what a web we weave when first we practice to deceive.” Each tiny lie may need additional lies to keep the painful truth from your child until you find yourself in a web of dishonesty that is very hard to get out of without causing more pain than you were first trying to protect your child from. Parents who teach their child that honesty is always the best policy should be modeling it to her as well. Eventually she will find out the truth and discover that not only was the truth kept from her, but there was deception involved. Whether the truth comes out because the lies became too great or because she has simply gotten older and discovered the truth on her own, her relationship with you will be damaged. She will feel pain and disconnection from you. Though most pain and disconnection can eventually be repaired, it can take years to rebuild. It teaches the child that little lies are ok. This belief will eventually lead to the belief that bigger lies are also ok, until all truth is negotiable. When a child eventually discovers that mom and dad are frequently telling her small untruths here and there, she will learn to do the same. At first these lies will start out small, and may even seem “cute” to her parents. Unfortunately, soon these lies will begin to snowball, getting bigger and bigger. Eventually she will be lying about everything and believing she is doing no different than her parents. The truth may help a child learn to deal with difficult situations early in life. As a child grows, she will need to learn to address and heal from difficult and heart wrenching situations. When parents attempt to protect their child from these situations by lying, it robs them of an amazing growth opportunity. Children will only build up resilience though support during painful experiences. Instead of attempting to keep children in a bubble where nothing bad happens and everything is good, parents should be willing to share difficult and painful stories in a positive and reassuring way, especially when she is young. In general, as a child gets older, she will go to her parents less and less for the reassurance she needs. So when painful events happen, an older child will be less likely to seek the support she needs, whereas a young child will run right to mom or dad for comfort. When parents start sharing sad and disappointing events with their child at an early age and offer the reassurance she needs during those times, she will be more likely to continue to come to them for encouragement as she gets older. Certainly there are times when a child is very young that certain information can be harmful to her. Details about horrific events or deaths of loved ones can cause some trauma in your child. Parents need to use their best judgment regarding what their child can and cannot handle. However, parents should avoid keeping details from her just because they don’t want to have to deal with the pain she might feel from the news. With each challenging event that parents take head on, offering the encouragement their child needs will help her grow emotionally stronger. Then, when the most difficult realities of life hit her, she will be prepared to face them. Parents would love to be able to say that redirection and positive reinforcement are always effective in correcting a child’s misbehavior. Unfortunately, there are times when a child will only learn correct and healthy behaviors if there is a negative result for her actions. There are many reasons to pick logical consequences over random and harsh penalties. If parents want their child to learn from her mistake, her consequence must have a link to the misbehavior. Here are 10 examples of inappropriate behaviors a child might have and possible “logical” consequences for that behavior. Your child throws a toy in the house after being clearly told it was against the rules. The logical consequence is that she loses the privilege of playing with that toy for a reasonable amount of time. This could be five minutes for a young child and could be a few days for an older child. Your child speaks disrespectfully to you. The logical consequence is for you to ignore the comment or request she is making until she can find a respectful way to say it. A quick, “I will respond to your request when you speak kindly to me” might need to be said one time, but should not be repeated over and over again. This technique will work for even very young children and can be modified for older children as well. “It is hard for me to hear your need when you do not speak with kind words” is what you could say to your older child. Your children are unwilling to share a toy. You remove the toy from both children and encourage them to work together to find a way to get that toy back. This helps the children learn to work for a common goal. Your child refuses to put his toys away or continually forgets to do so. If you are the one picking up her toys after she has been given a reasonable amount of time to do so, put all the toys left out in a box. Your child will then need to complete a task for you in order to get that toy back since you completed the task of picking up her toys. Your child uses something of yours and loses or breaks it. You work with her to come up with a plan on how she is going to replace that object or fix it. 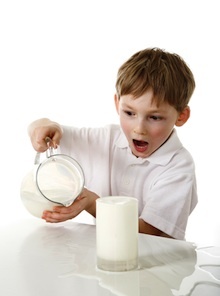 If the object was taken without your permission, this task should be very challenging for your child to do. She needs to have to work hard to fix her mistake so she will understand the value and gravity of what she has done. Your children are fighting at the breakfast table. You inform them that they need to get along or they will not be welcome at the table. This might mean that they miss eating their breakfast altogether and are hungry until lunch. Another logical option is for you to have one child eat in a completely separate location from the rest of the family, showing her that in order to be in community with the family, she has to learn to cooperate with her siblings. Parents use logical consequence more often than they usually realize. Logical consequences are somehow linked to the child’s action and naturally help the child see the larger picture. They are not motivated by a desire to punish the child, but are used as a way to guide her as she grows and develops. Parenting is never easy, and choosing a consequence for your child’s negative actions can be one of the most difficult tasks. However, the importance of choosing the best and most appropriate discipline is vital to your child being self-motivated to maintain acceptable behavior. There are three different types of consequences you can choose for your child. Natural Consequences. These are normal outcomes to imperfect behavior. For example, if your child does not put away his baseball glove, you stop yourself from running out to get that glove before it gets wet from rain or dew. Instead, you allow the glove to get wet and allow him to play with a wet glove. You avoid fixing the problem he has because he did not take care of his belongings. In order to be successful at this type of discipline, you will need to be strong in these situations and resist the temptation to rescue your child from the negative consequences of his actions or lack of actions. Natural consequences can be useful when a child is forgetful in some way. It does not always work if your child is willfully disobeying you. This type of discipline will help your child into his adult years because it takes you out of the equation all together and helps your child be self-motivated to work toward positive behavior. Logical Consequences. These are practical penalties to noncompliant behavior. For example, if your child refuses to put away his toys and you are forced to do it for him, you put the toys left out in a box and require him to help you in some way to earn that toy back. Just like natural consequences, you will need to be strong and not give in to get results. Logical consequences should be your default mode as a parent. 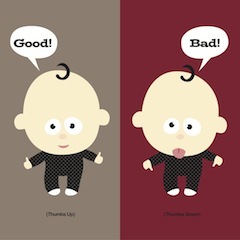 It is by far the most effective way to correct behaviors in your child because it helps your child remember the lesson learned by connecting that negative behavior to a negative result in his brain. Logical consequences should always be framed as a choice. Your child has the choice to behave in an inappropriate way and receive the consequence for that action. But he can also choose the appropriate action and not suffer any consequence. These consequences are more difficult for parents to promote because in the heat of the moment it can be very difficult to come up with a consequence that in some way matches the action. However, the more it is done the easier it gets. Intervention Consequences. These are consequences which by nature will not directly match the action of the child. For example, if your child is hurting another child or adult it is unsafe and may be unfair to let natural consequences happen. A logical consequence of separating the child may help, but if this is an ongoing event, some type of intervention consequence may need to occur while you simultaneously search for the root cause of the child’s behavior. Privileges unrelated to the event may need to be revoked or belongings and toys may need to be confiscated for a time. Intervention consequences should be used only when more logical discipline has proven ineffective. They should also never be looked at as a permanent solution. If a child is acting out repeatedly and penalties related to his behavior do not seem to be helping him make better choices, there is always an underlying issue at play. These types of punishments might help keep your child safe in the short term, but unless you resolve the underlying problem, the behavior will get worse and worse. Consistency and follow through are always the key to finding consequences that help your child make better choices. When parents are on the same page and continuously set realistic expectation with thoughtful consequences they will find their children will eventually become self-motivated to positive actions. When it comes to parenting, the main focus for many is placed upon making sure that your child has more happiness and opportunity than you had during your own childhood years. While it’s certainly admirable to want to provide your child with everything she needs in order to be happy, healthy and to grow into a thriving, well-adjusted adult, it’s suprisingly easy to tip the scales in favor of spoiling your child without meaning to. On the surface, a bit of spoiling can seem harmless. After all, what’s the worst that can happen if you give your child the best? In all actuality, there are some very solid reasons for making sure that you don’t spoil your children and why you may actually be doing them a disservice. Making sure that your child wants for nothing as she grows up may seem like the recipe for a perfect childhood, but that’s not actually the case. When your child has everything she wants delivered with no questions asked and is never forced to work hard in order to earn luxury items, she learns that she’s entitled to the best simply by virtue of existing. This sense of entitlement can become very problematic as she gets older, leaving her resentful of any situation that requires her to expend effort and utterly incapable of dealing with disappointment or rejection. As an adult, you know that nothing comes to you for free and that it’s necessary to work hard in order to obtain the things that you need to survive, let alone luxury items that you’d like to have. You understand that conflict resolution is an essential skill, that disappointments will come but that they must be faced and that you won’t always get the credit or rewards that you deserve. It’s normal and natural to want to protect your child from those lessons, but it will only leave her more bewildered and hurt when she eventually has to face them as an adult. Rather than spoiling your child with a shower of gifts, intervening to fight her every battle for her and demanding that she be rewarded for the slightest achievement, consider the impact that such behavior would have on her view of adulthood. Unless you’re willing to financially and emotionally support your child for the rest of your life, you’ll need to help her learn to navigate these very real aspects of adult life by allowing her to experience disappointment and helping her to work for the things that she wants. Because you know that adulthood isn’t easy, it’s tempting to shower your little one with gifts to make sure that he has a magical childhood to look back on when the going gets tough. The truth of the matter is that regardless of how harsh it may seem, childhood is a training ground for the tough work of being an adult. If the hottest and most expensive new toys are purchased at the slightest indication of desire, your child is never expected to do any chores and has no concept of the value of a dollar, how is he ever going to learn how to make a living when he gets older? There’s nothing wrong with purchasing the occasional gift or making a splurge purchase for a birthday or holiday, but you’ll still want to make sure that your child also works to earn money in order to save for things that he wants. Otherwise, he’ll have no work ethic as an adult and no understanding of why he should work hard as an adult. Catering to your child’s every whim and refusing to act as an authority figure not only diminishes your own role as such in your home, but also makes it difficult for your child to respect any authority figures. After all, you’re the first and last word in authority over your child; if you don’t exercise any and make it very clear to your child that he’s entitled to any behavioral habits he likes, he’ll extend that teaching far beyond the walls of your home. What begins as a problem deferring to the authority of a teacher could easily become a refusal to respect that of an employer, making it difficult for your child to hold down a job or enjoy a successful career. Showering your child with the best of everything and making sure that she’s always dressed to the nines is not an effective method of spoiling her irreparably, but also of turning her into a status symbol. Proving to your neighbors and friends that you’re affluent and successful by turning your child into one not only spoils her, but also sends the message that her only value lies within her ability to be a great accessory. If keeping up with the Joneses is something that you simply must do, buy a few luxury cars rather than spoiling your child senselessly. When you get frustrated at your child because she’s not listening to you or doing what she’s supposed to do, it’s easy to lose your cool and start yelling. 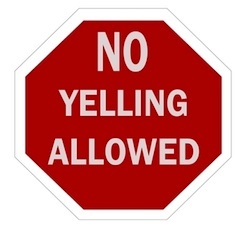 However, yelling can have adverse effects on your child, including her starting to fear you. There are other ways to get your child to cooperate without raising your voice. When you lay down an edict without backing it up with some kind of consequences for choosing not to listen, there will be no reason for your child to stop. It doesn’t have to be anything terrible, but your kids need to know that you mean what you say the first time you say it. If you say “stop” and then ignore them until the next time you look up from what you’re doing, your child will perceive that you did not really mean it and that he still has some wiggle room before getting into serious trouble. So, before it escalates to yelling at your child for defying you, try speaking firmly, looking him in the eye and laying down the law. Instead of demanding that he stop his behavior several times before you make a move, back it up as soon as they don’t listen. This will teach them that they should pay attention to you the first time you speak instead of waiting around until they know you’re about to snap. 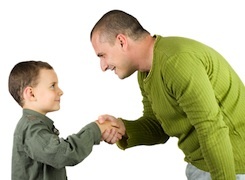 In time, the habits of your child will change to reflect this new way you speak to him. He will start to listen right away and stop trying to push your buttons when he realizes he can’t let it get that far out of control anymore. Repeating yourself will not help your children understand that they need to be listening to you. Just like a broken record, eventually you tune it out because it’s just the same thing over and over again. Expect the same behavior from your kids. Don’t wait for your children to “catch on.” They may be too young to understand that their behavior is not acceptable by simply hearing you ask them to stop time and again. If it is something like cleaning up after themselves, don’t ask them several time before giving up and completing the task yourself. It may take a little longer, but make sure they understand they have to do it right away. First, state what you want them to do, then say why, then repeat what you want them to do and emphasize it needs to be done now. Now, here’s the tough part: watch them do it. Eventually you won’t have to do that last part, but until they catch on that you mean what you say when you say it, you’ll have to make sure they do it. Do you do something if someone asks you if you’d like to, even though you really don’t? Your kids won’t choose to either. Keep the questions short, sweet and clear. Tell them exactly what they need to do, not what you would like them to do or what they should do. For example, don’t say, “It would really be nice if you would help your father set the table for dinner.” Instead say, “Please set the table. Dinner is almost ready.” The reason behind your request is clear and the request itself is clear as well. Getting your kids to cooperate can be as simple as telling them they can do something they really enjoy when they are finished with the chore. Gift your child with a few extra minutes of playtime after an unpleasant task is completed. It’s very important to make sure your children understand that the fun comes second and the work comes first. They need to realize that the thing they want to do can only happen when they listen to you and get the chore done. Keeping calm is key. When your children are not listening to you and you are starting to get frustrated, it’s easy to just lose it. If you feel yourself getting to the point of yelling, just stop, take a deep breath and start over. No one likes to be yelled at and your kids are no exception. So, above all else, keep your cool. It’s not always easy to keep a grip on your temper, but the payoff for managing the task is a yelling-free, peaceful household. 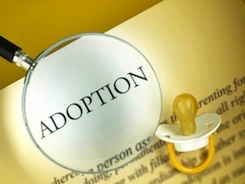 Parents who plan to adopt children often have fears that parents of biological children never encounter. Will I bond with my child? Will she miss her biological parents? Will she someday begin to ask difficult questions that I don’t have the answers for? The emotions and difficulties adopted children face can seem overwhelming. Many parents believe waiting to answer these questions until the child is older is the best approach. However, for many parents, helping their adopted child understand what it means to be adopted while she is young can bring peace and acceptance to her life as she grows. Here are a few wonderful books that can help families of adoption answer some of the more difficult questions. God Found Us YOU – Lisa Tawn Bergren and Laura J. Bryant – This is an enjoyable book about the longing a woman can have when waiting for an adopted child to arrive. The baby fox asks again and again for his mom to tell him the story of when he came to live with his mommy. Mommy fox tells the story with love and honesty, remembering the heartache and joys that the process brought to her. Choco – Keiko Kasza - Adorable Choco, who is a small yellow bird, is desperate to find a mommy. He asks all the other animals that have similar features, because he’s sure that his mommy must look like him. When he finally finds a mommy, he is so glad she looks just the way she does. This book is amazing for parents that adopt children who do not look the same. Rosie’s Family – Lori Rosove – This book is wonderful for children who love dogs. Rosie is a dog that does not look like the other dogs in her family because she was adopted. Children will enjoy reading about Rosie and knowing that families come in all shapes and sizes. Shaoey and Dot – Steven Curtis and Mary Beth Chapman – Shaoey is a little girl who was surrendered by her mother in China and is eventually adopted by family with several other biological children. Dot is her little ladybug friend that travels through the journey as she enters an orphanage, meets her future mommy and daddy and goes to the US to be adopted. A sweet book for the child that wonders what happened before adoption. A Blessing From Above – Patti Hederson- A baby bird is born and his nest is just not big enough for everyone. This is a charming book that shows not only the love and desire an adoptive mom can have for her child, but also touches on the emotion a birth mother might have for her birth child. The Day We Met You – Phoebe Koehler – This book is short on words but long on excitement as you walk through the day that mom and dad would meet their soon to be forever baby. Birth children often enjoy hearing the story of when they were born. Adoptive children equally love hearing about the first day they came home. I Wished for You – Marianne Richmond – The little bear named Barley has a lot of questions about why he was his mommy’s wish come true. Some are the same questions biological children ask their parents and some are unique to adoption. His mommy patently answers each one. Barley keenly relates his mommy’s answers to something in his life and discovers what makes a family is their love of each other. There are so many great books surrounding the topic of adoption for young children. These books are not only wonderful for your adopted child, but can also help biological children gain understanding, empathy and compassion towards adopted children. From your toddler touching everything in sight to your teenager ignoring everything you tell her, children who don’t cooperate can be frustrating. More than that, they can make you go crazy. Here are a few simple rules to follow to increase the amount of cooperation you get from your child. Help map out the day as best you can for your child. Often, parents have an idea of what the day will be like, but fail to communicate those plans to their child. When possible, help her envision your day by communicating it with her either that morning or the night before. Younger children will need this to be repeated, so it can help to recap it a few times. It is true that plans might change, but changes will be easier if she knew what the plan was in the first place. Give warnings when time is coming close for transitions to take place. Children tend to live entirely in the present, so they are usually completely engrossed in the activity they are involved in at any given moment. This is obvious for younger children, but is also true of older children. By giving your child warnings when you need to leave in 10 minutes, your child can begin to finish with what she has started. Timers can be a big help for these warnings for both you and your child. A timer can not only keep you on track to follow through with the time you allotted, but will also give your child an auditory clue to listen for. Provide your child with choices so that she feels in control of the situation to some degree. It is very difficult for your child to be at the mercy of the adults in her life. Often times, the errands or activities she is being forced to participate in are not activities she would choose to do. You can ease this frustration by making small parts of the day her choice. Small children do well with two or three choices. “Do you want to wear the blue boots, the red shoes or the purple clogs?” Older children can help you decide where you will go first or what music you will listen to along the way. Simple choices can make the difference between a cranky child who drags her feet and a cooperative child who does what is asked of her. Giving teens the choice can relieve some of the pressure too. “The garbage needs to go out before 6AM tomorrow. Do you want to do it before you go to bed or early in the morning” You may know the most common sense option is to do it now and get it over with. But giving your child the option can ease the tension often felt by parents and teens. Create excitement for the thing you are trying to get your child to cooperate in doing. You might be so caught up in completing your to-do list that you forget to enjoy the process. You are motivated to get the tasks complete because you can see the outcome. Your child could not care less about that outcome, she just wants to have fun. So if you want her to cooperate with you, you will need to bring a little fun to the to-do list. If you are running errands, build a little fun break into every other stop. If you are in the car for a long time, find some games to play, such as I-Spy or 20 questions. Help keep her mind going and you will find she is much more compliant. Make sure all her physical needs are met before asking her to do something you know she will be resistant about. Is your child hungry, thirsty, tired, overstimulated, cold/hot or sick? It is hard for adults to operate when they have these needs. Your child will be understandably cranky when she needs food or has simply had too much. Take a break and don’t expect your child to do too much. Make sure your child has enough time for play in her day. Parents today have a tendency to overschedule their children, filling their time with sports, art and other activities. The thought is that an active mind is a healthy mind. To a degree, this is true. However, if the mind of a child is not given the opportunity to think creatively and freely, it will begin to shut down. This is when children become easily agitated, inflexible and unsatisfied. To ensure that you have a more cooperative and helpful child, make sure that your child is given enough time for free play both with you and by herself. Parents dream of a child who gets her shoes on the first time they ask or takes the garbage out when it needs to go out. Though it may not be possible for your child to do this with 100% accuracy, it is possible to improve her cooperation level.